Welcome to FS2, the Reception year of school. The results from the chocolate tasting tell us that white chocolate is the most popular because it has the most cubes and dark chocolate is the least favourite because it has the fewest cubes. We have been learning about how chocolate is made and these towers show us the percentage of cocoa solids (the good stuff) and other stuff, including sugar in a bar of white, milk and dark chocolate. We have learnt that dark chocolate is the healthiest kind because it has more cocoa solids in it (70%) and whit chocolate is the least healthiest because it has no cocoa solids but lots of other stuff. when we put the towers together it tells us that the most popular choice of chocolate - white - has no cocoa solids in it but more sugar and perhaps that’s why so many like it. The towers also tell us that the least popular chocolate - dark - has the most cocoa solids in it and less sugar so maybe that’s why it’s not a popular choice - because it’s more bitter and less sweet. First thing this morning I showed the children a picture of a boy and a girl with some Easter Eggs each and posed the question ‘Is it fair?’ We investigated ways to share the eggs to make the scenario fair. In play, the children have been doing their own problem solving by sharing carrots and eggs, saying when it’s fair and not fair. After showing the children a short clip from the chocolate room in Charlie and the Chocolate Factory, the children have used it as inspiration in their play. Look at the amazing chocolate factory in construction - complete with waterfall and pipes to send the chocolate to different parts of the factory. Some children have made Easter bunting and some were playing in the water - making a chocolate mixture that’s healthy using more cocoa beans! We have been to see eggs in FS1. 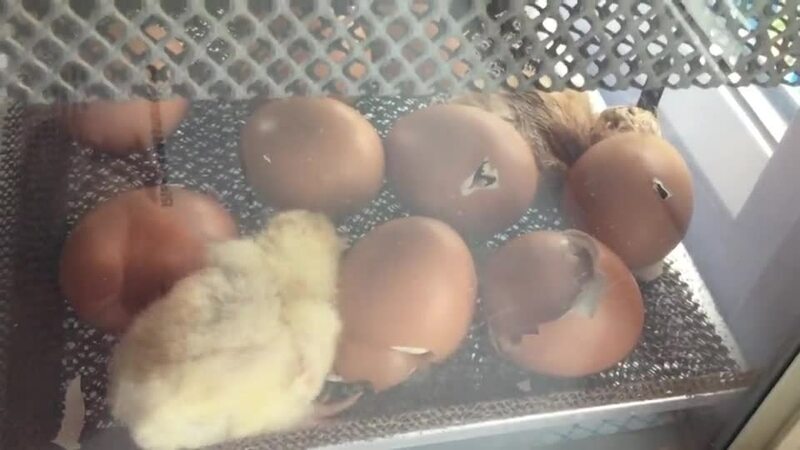 It was a pure delight to see them hatching - so exciting! It has inspired some independent writing and children building nests outside. This week we’ve come back down from space to Earth. The children have loved learning about different ocean animals from videos and books. We have been learning to estimate a number of objects then check by counting. We’ve marked the estimate and actual number on a number line to see how accurate how estimates were. We had fun one day by estimating how many cubes would fit in our shoe! We’ve learnt the bigger the shoe, the higher our estimate needs to be. All the talk about space has led us to think about aliens and do they actually exist? The book ‘Aliens love underpants’ has prompted some really engaging play and activities. However, we have been talking about ‘challenge’ and we’ve been looking for children who are adding more effort, detail, time and thought in their independent play. This morning these girls chose to make butterflies - they cut, stuck and drew independently. Then this afternoon they decided to put on a ‘butterfly show’ using their models; they were highly motivated during their play and kept extending their ideas. We were lucky enough today to try real space food! Poppy visited the Space Centre over the weekend and brought us some bananas and Neapolitan ice-cream sandwich back. Most of us enjoyed the food - we found out it was dry and very light. Following our story ‘Whatever next’ about a bear who goes to the moon in a rocket cardboard box, we have been learning about the moon, space and the International Space Station. Look at some of our imaginative play in different areas of the classroom. It’s like a beautiful blossom river! The blossom has mixed in with the water! That part of our playground is flooded. The children are playing imaginatively in our new cafe (it’s more like a posh tearoom really!). They are interacting with each other to take on a role in their play and use specific vocabulary linked to this experience. They are also using the equipment carefully and purposefully. Spring has entered our classroom this afternoon! There’s lots of busy children demonstrating high levels of independence and playing with purpose and enjoyment. We’ve been talking about the importance of letter order when writing small words - if the letters aren’t in the correct place, it just doesn’t make sense. After weeks of practising the Rhumba we had our competition today. Everyone did terrific and you can see our finalists were overjoyed to win a trophy. I love how these children are using different tools to paint. The bottom painting shows how a child has used their finger tip so carefully to make the array of colourful dots. Look how these boys have balanced their model. It’s extraordinary how they’ve adjusted and positioned the blocks so it doesn’t fall over. I think you can tell these children really enjoyed looking at treasure. They found rings, coins, necklaces, bracelets, brooches and jewels. They were using lots of language to talk about the treasures. This afternoon, even though it was cold, we built our own obstacle course. It involved great team work to keep thinking of ideas and it just kept getting longer and longer! Moving all the equipment warmed up our bodies and then travelling along the obstacle course using careful balancing and coordination kept us even warmer. Thank-you so much to Natalie and Mrs. Stead man for showing the post office this week. The children learnt lots of useful information and have brought that into their play. I was really pleased with the children’s use of mathematical vocabulary! These boys have worked so creatively and collaboratively this morning building their bridge with “boats that go under and a train that goes over the top.” I like how they have prevented other children from taking their bridge down. Preparations for Christmas are underway!!!!! It was a great morning for den building - good team work! This week we read a story called ‘The dot’ - it’s about a girl who feels she can’t paint so she does a dot, but then she soon finds out she can paint all sorts of dots. Maybe she is an artist after all! We have been experimenting to make dots - some of our work is inspired by Kandinsky. During our welly walk the children couldn’t help but notice shapes everywhere! Last week we thought about the 100 year Remembrance Day through talking about happy and sad times we remember, learning a little bit about the war and making craft poppies. We held our dance competition this morning following weeks of practising The Charleston. These were our finalists and our champion. Congratulations to all the children! We’re getting into the spirit of things in Bear Cubs - ha ha! Look at some of the ways we are practising our writing and mark-making skills. The children have been particularly interested in making road signs for the traffic around Barnsley! This week we have been learning to describe patterns. Look at some of the patterns we’ve made by exploring shapes and materials. These children are developing their fine motor skills, particularly their pincer grip for when they are ready to write. Look at the concentration on their faces. An autumn walk provided lots of opportunities to talk about change and describe what we see. The children then learnt two different art techniques - rubbing and printing - to make effective pictures. We are learning to become more independent. Look at the ways we are doing this. 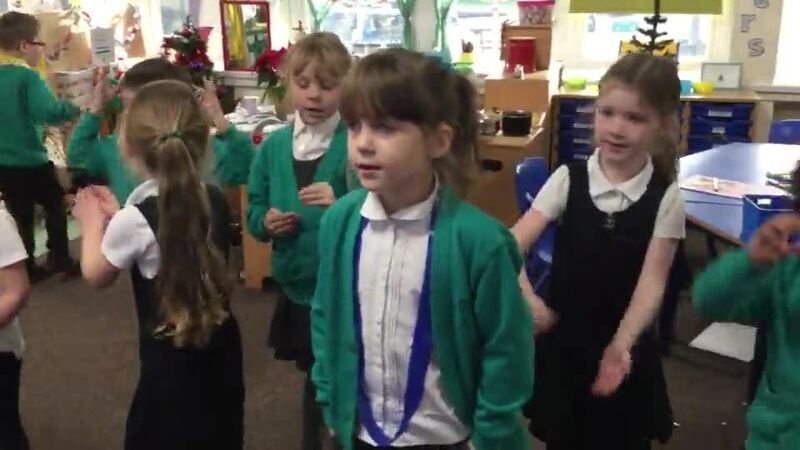 In FS2 we take part in dance lessons every week. These develop our ability to listen and follow instructions, as well as developing our gross motor skills and coordination. Today we started learning some moves of the ‘Charleston’. Soon we’ll be giving Strictly dancers a run for their money!!!!! First day at school!!!!! All the children have settled extremely well - no tear. In fact we have been so busy learning this morning; we have been doing our phonics, handwriting and maths, as well as playing independently. Lunch was really well received after all that! After weeks of practise we held our Charleston dance competition today. Congratulations to everyone but well done to the winners who remained focused throughout. We have been learning to make reasonable estimates in Maths this week and then check by counting. This morning we loved our fun maths investigation - how many unifix cubes can fit in our shoes? Can we estimate the number of cubes first and once we know one shoe how does that help us estimate a different shoe? Bigger shoes hold more cubes because there is more space inside. Smaller shoes hold fewer cubes because there is less space inside. A shorter shoe can hold more cubes than a longer shoe because it is deeper. Both shoes hold the same number of cubes because they are the same shoe - that’s a double!!! Following on from our learning about properties of shapes yesterday, today we found out that most 2D shapes have the same number of vertices and sides but circles and ellipses don’t because they have curved sides. This morning in Maths we started with three shapes on the board - the love heart, the star and the pentagon but our discussion developed with so much confidence, challenge and enquiry I have to share with you some things that were said. Part our discussion involved thinking about whether all shapes have the same number of vertices as sides. Some fantastic den building yesterday by different groups of children. I liked how they were made in the morning and then after lunch the children went back out to them and adapted and improved them. Great examples of working together, sharing ideas, using equipment, problem solving and playing imaginatively. Mrs. Popplewell and I brought our wedding albums in today seen as there’s such a keen interest in the Royal Wedding. Mrs.Popplewell brought her dress in too - it felt very silky and smooth. We have been practising using digraphs in independent writing, thinking about different types of celebrations and posh wedding food! Ahead of the royal wedding we have been learning about the members of the royal family, London and castles. Look at some of the independent play inspired by castles! The children were absolutely incredible this morning on our sponsored run around the track. They all showed tremendous determination and enthusiasm and they can all be so proud of themselves. Where else, other than in Early Years, would you be ‘developing anti-venom for spiders’???!!!!! Den needed on a damp day in April! I had to show you this beautiful painting! After the news of the Royal baby at lunchtime we started talking about the Royal family and the exciting upcoming wedding. It has obviously inspired this heart-warming masterpiece. After reading a book called ‘Six dinner Sid’ we made a vets role play area in our classroom. The children are enjoying treating a variety of animals with various injuries ranging from needles stuck in paws and poorly tummies to broken limbs that need fixing on the surgical table. After discussions about animals and vets the children said they’d like some puppies to play with so I got a box out. They decided to put them in small construction so they could build homes for them. Then they decided they needed food and drink so they used the tiny tea set to feed them - very posh puppies! I loved to watch these boys problem solving this morning; they all had so many ideas about different ways to get the water flowing! What happens when you mix things together other than paint? One of our young authors wrote a story at home. We read it to the class and it inspired others to write stories themselves! This morning was Competition day for our street dance. Mrs. Ripley was overwhelmed with the quality of dancing and found it difficult to judge our finalists. Enjoy the pictures and look out for the street poses! We have been talking about places nearest and furthest to where we live. Look at some maps the children have drawn, I think most are imaginary but the language the children used whilst talking about their maps was fantastic. Well we thought Spring had sprung this week... however, we’re not so sure now! Our tulip paintings are cheering us up anyway. Look at the concentration on these children’s faces and how carefully they are using the water-colour paints. Look what me and my friend have built! It’s a castle with a bridge and a swimming pool. We had to get the right size pieces to make sure it was well balanced and stable. At the beginning of the week we were learning about repeating patterns. You can see that the children understood this concept and created some simple, linear patterns. But by Wednesday I challenged the children to develop their patterns further in terms of their complexity and imagination. I am delighted with the results! Wow! Look at this boy’s ‘bat cave’. I love how he has combined materials to make different shapes and parts of the cave and he kept on modifying it too. Brilliant creative thinking! The children have chosen to play together in a large group this afternoon. They are helping each other to construct a house, build a campfire and cook food. FS2 is busy again on this snowy day! Some children have started making their spoon characters for World Book Day. Aren’t they wonderful!! Can you spot Alice in Wonderland, The Gruffalo and Paddington amongst others??? I love them! It’s still snowing this afternoon but look at the concentration on these children’s faces as they are all choosing to write independently. Three of the boys have made books and are writing their own stories! It’s snowy outside in Kexborough this morning but we’re busy as usual in FS2. Children and parents busy talking and playing at our ‘Welcome Wednesday’ this morning. This group of children are telling Kofi the monkey what they see on their way to school. They are drawing a map to help Kofi find his way around. Look how Maisie has improved her work from the first sentence. After William wrote a sentence I asked him how he was going to improve it. He went back and included finger spaces every time and chose a more challenging word. More pirate activities this week have provided lots of engagement and the development of skills. Look how pleased Arley is with his printing treasure on playdough. Some phonics this morning; it’s a delight to see all our children making such good progress and moving on to their next steps in learning. Look how Nathan is trying to use our new digraph ‘ay’. Yesterday the children were introduced to the new digraph ‘ay’ and already they are eager to show me how they can use it to write and make words independently. Look at ‘painting’ and ‘pastry’!! After reading ‘Mr. Gumpy’s Outing’, a story about a man and a boat, the children’s enthusiasm soon turned to pirate ships. Look at our range of learning that involves pirates!!!!!!! We have been making treasure maps and talking about our adventures. We have been collaborating ideas to make up pirate stories in the small world; some were a bit gruesome! In maths we have been practising counting objects to 20 and sharing equally. In writing we have been learning that an inventory is a checklist and pirates need these to check they have no treasure missing! In guided writing some children have been learning to label a picture of a ‘Wanted’ pirate and others have been thinking of what the pirate might say. We have a fantastic collection of different spoons and the children have been thinking of interesting ways to use them in our provision. Some children thought the water might not be a good idea because the metal ones might rust and the wooden ones go soggy. We enjoyed using them in our home corner and they made good shovels for digging treasure. Mason found the ice-cream scoop made a good shovel. Fancy a holiday??? We don’t do cruises on galleons but we can arrange all sorts of holidays in our travel agents. You’ll need to change your currency if you’re going travelling abroad. We have had a fantastic afternoon in bear cubs at our Christmas party, playing games, eating party food and even getting a visit from Santa. All the bear cubs staff would like to wish you a merry Christmas and a happy new year. We are all getting excited ready for the Christmas party tomorrow afternoon. All the prizes have been wrapped and a faint jingling sound can be heard in the distance. I wonder what or who that could be? In Maths this morning we used this Christmas picture to talk about our Maths learning over the term. I was so impressed with the precise use of mathematical language from the children. Here are a few observations made by the children. Every child was able to say something mathematical about the picture. We have had our usual calm phonics lessons this morning. The children are making really good progress in their different groups. In FS2 we practise our handwriting three times a week in differentiated groups. The teachers focus on each group’s specific needs and as you can see there has been a lot of progress in letter formation and pencil control. Some children are just starting to hand write after building finger strength and in the new year another group of children will start to practise joining some letters! This morning we went to see Sleeping Beauty at the Lamproom theatre. Harvey and William obviously enjoyed it because they role played the story this afternoon. The Prince: With the touch of a kiss I wake you up! Sleeping Beauty: arghhh! Don’t actually kiss me!!!!!! Haha, it appears not all fairytales end happily!!!!!!!! We’ve enjoyed plenty of time outside today. The playground was still too slippy and unsafe so we went onto the field. We enjoyed running and balancing as well as looking at the frosty leaves. In the afternoon the frost had disappeared and all the leaves were wet. We knew this was because the sun had melted the frost. 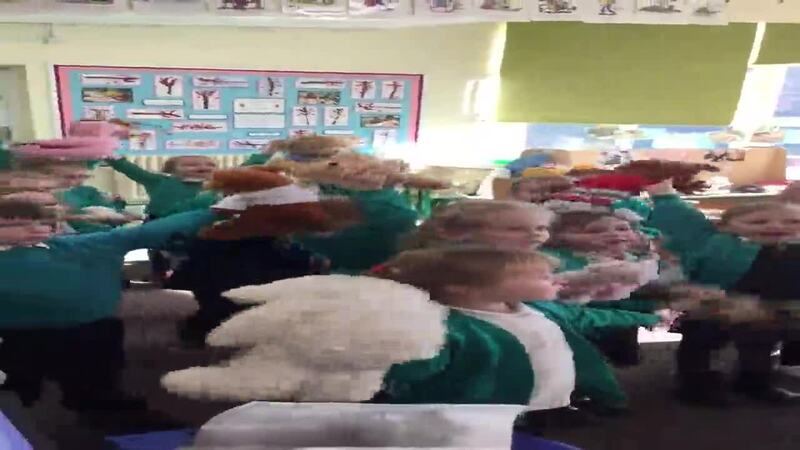 Christmas in Bear Cubs; lots of developing skills in all areas. Our bags for the Christmas craft fayre are ready!!!!!! If you would like your child to buy their crafts please send them with £3 in an envelope on Friday morning which is the total cost of their craft bag. I have introduced water colour paints this week and as you can see the children have used them so carefully, adding more detail to their paintings than they would normally do with powder paints. Look at the concentration on these children’s faces. Look at these two fabulous creations; children’s imagination never fails to impress me! Look how Jake has used the material to make a waterfall and under the waterfall lives a dragon! Harvey, Ollie and Nathan worked so well together to make their bamboo house for the animals; they took extra care to balance the pieces and share ideas. Clever work boys! I’ve got to share this amazing writing with you from this morning. Nathan has written using cursive letters formed on the line and he has remembered finger spaces for his sentence. Fantastic! Nurse Ripley came to visit today. She works looking after the elderly at Barnsley hospital; she told us about her job so we know a little bit more when we play in our own surgery. After weeks of practising our Cha Cha Cha, finally we have held our competition this morning. Everyone danced brilliantly but we had six couples that won trophies. Nathan and Aimee were our Cha Cha Cha Champions!!!!!! Well deserved for their in time foot work and smiles. Ruby and Aimee have spent 45 minutes making their haunted house with drawn and cut out figures. They collaborated really well together and took turns with equipment. Fantastic girls! Every morning we are running the mile (10 laps of the playground). As well as making us healthy, this settles us down to our independent play after fresh air and exercise. Mrs.Clay’s handwriting group have been squeezing, rolling and pressing to make spooky Halloween cookies. I’m so impressed with this phonics group this morning who passed the board round to make a list of ‘ip’ words. We have been learning about repeating patterns. Look at our independent learning. We went back to the woods this morning. The wolf has written back to us. Also this week, the children enjoyed playing police. This prompted us to learn more about their job - it’s not just about catching bad guys! Unfortunately a hurricane knocked the police station over and it had to be rebuilt. We went back to the woods on Monday to see if anything had happened to the basket of food we had left. Something, maybe the wolf had eaten everything apart from the spicy mustard and tomato soup. Maisie thought this was because a wolf wouldn’t be able to open them with its furry paws. Back in the classroom the children started wondering if it was a wolf who had eaten the food. It could’ve been a bear, a fox or an owl - we did see claw marks on the tree!!!!!!! How could we find out? We decided to put some more cookies in the basket along with a letter and some paper and pen so the mystery animal could write back. Currant buns because wolves like cherries. Tomato soup because it will keep the wolf warm. A carrot because they need something healthy inside them. Hot spicy mustard to spread on the meat they eat. Chocolate chip cookies because wolves are a bit brown and so is chocolate. Strawberry yoghurt because it's sweet and wolves like sweet things. Water because it will get thirsty. Some children drew pictures for the wolf and we wrote a label and took the basket to the wood because that's where wolves live. It's beginning to look a lot like Autumn! On Thursday morning we went for a walk around the school grounds looking for signs of change and Autumn. We are learning that leaves fall from the trees because they are dead and acorns and conkers are seeds that fall from trees. We've noticed that some of these things turn brown and start rotting and decaying. In Maths we have been learning to double, we understand this is when we add the same two numbers. In Cha Cha Cha we have progressed to working with a partner. We started phonics this morning; look how focused we all are! Our first dance lesson today; we have been learning the importance of warming up, listening to the beat and learning steps for the Cha Cha Cha. OUR FIRST EVER DAY AT SCHOOL! A busy morning for our first day at school! 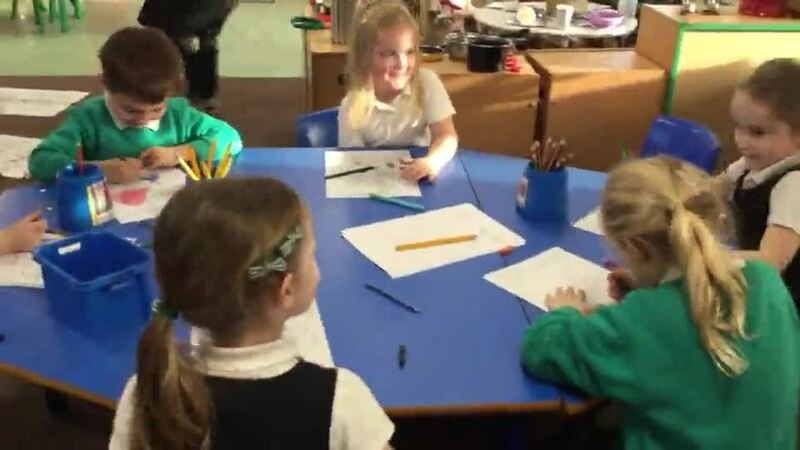 We've been learning to compare groups of objects, draw and write our name, listen to our story 'Owl Babies' as well as lots of exploring activities. This afternoon we watched a video to find out information about owls, we've painted and drawn owls and measured ourselves to see if we're taller or shorter than the biggest owl in the world. Tissue Tastic!!!!!!!!! We've been using tissue paper to makes caterpillars with repeated patterns, fruit and vegetables styled from 'The very hungry caterpillar' and stripy lollipops. Our caterpillars have changed since we got them; first they got fatter, then they started making thread and we had to untangle them and this morning we came in to find they have all made their chrysalis! Dawn has now moved them to the net container so they will have room to come out as butterflies!!!!!! We're ready for the thunderstorm!!!!!! Can you tell which London landmarks our models are????!!! This week we have been planting tomato seeds. Maybe a giant one might grow...???!!!!!!!!!! Look what Esme brought in for us to look at! Can you guess what it is???? After reading Jack and the beanstalk, we have been thinking about castles! We have been learning the names for parts of a castle, looking at famous castles from movies and thinking which one we'd like to live in, learning about the legend of the Giant's Causeway (spot Leah's giant toppling over the edge of her causeway in the slides), drawing castles and building castles. A bunk bed fit for a castle!!!!!!! We have collected tadpoles from the pond and put them in the classroom to observe them closely. One has grown back legs and is beginning to change into a froglet! Ask your children to tell you about a frog's life cycle. Unfortunately on our visit to the pond we didn't see any fish or the nesting moor hens, even though we were very quiet... We'll go back after the holidays for another luck. It is completely awesome being five years old! Today we sent balloons to the moon!!!!!!!! We watched the John Lewis Christmas advert 2015 with the man on the moon. It really touched the children and they wanted to send messages to the man to make him happy. But how do they get there????? Leah suggested we put them in the magic letterbox but Archie suggested we send up balloons! Our Charleston Competition was held on Thursday after weeks of practise. Here are our finalists and winners!!!!! Our moon and space theme has continued this week; we have been weighing items to see which is the lightest to take to the moon and drawing planets using chalks so we can smudge for a more effective appearance. I love this photo! The bowl is wedged between the guttering and the blue stand to catch the water. This is problem solving in action!!!!! We're reading 'Whatever Next' by Jill Murphy. A bear uses a box rocket to fly to the moon. We've been making rockets, writing from the story and watching real rockets take off on the Smartboard. We've also been learning about the moon; it's not made of cheese, but rock!!!!!! Outdoor learning in some sunshine!!!!!!! Sister Ripley visited this week to talk to us about her job. The children made good patients then practised themselves in role play. I think we have future doctors and nurses in class! We have been learning to add and subtract by putting objects in a line. Ask your child to show you at home. At the beginning of the week we read 'We're going on a Bear Hunt' and all week we have been doing lots of different activities to engage with the book. Look what we've been up to. The children made a bear through the playground. Green grates on their sides made a great forest and spongy bricks made ideal oozy mud. No one knew that a scary bear lay waiting in his gazebo cave!!!!!!!! We've made sensory story mats so we can remember the journey of the bear hunt; wavy grass, big river, oozy mud, dark forest and a swirling snowstorm. Ask your child to retell the story using their story mat. We've been spotting bears and recording how many, before finding a total for the two. Sid got a poorly tail... and a sick tummy... and a poorly paw!!!! Good thing Bear Cub vets were on hand to help. It was the 14th of February on Tuesday and love was definitely in the air! We made cards for people we loved, painted roses and even danced to ballads. It was a fiercely fought battle in our street dance competition, but here are our winners!!!! We've been building towers this week and measuring using multi-link. Outside though this tower was so tall it needed two metre sticks to measure at 170cm. Look how the girls have criss-crossed the bricks to make it more stable. In our circle time groups this week we said what we would use to decorate Mrs.Honey's hat! Some suggestions were lovely, just like the beginning of the story; glitter, bow, butterfly, lights. Others were a little more peculiar, just like the end of the story; frog, worms, jam, real snakes, banana!!!!!!!! Many children love showing us what they have learnt in phonics; look at these independent spellings! Archie, Sonny and Oliver made a great camera on Wednesday. It was for spotting animals and I can report that zebras and bears were spotted through the lens! Continuing our Chinese New Year work, this week we have been taking inspiration for our Art by learning to use and combine different media to make Chinese cherry blossom pictures. "I think the blossom will smell like strawberries because it's pink." "These blossom trees grow in China. I'd like to go to China." "I want to have blossom everywhere." It was Chinese New Year on the 28th January so we've been using chopsticks and tossing vegetables in a wok this week. We've also been practising our cutting skills by making red lanterns. We are learning that people celebrate and enjoy different things and we need to learn to be tolerant to this. Our grocery shop has been busy this week; children learning to count out the right coins and also learning that good manners go a long way! The frost this week has provided opportunities for some thoughtful observations and scientific thinking from the children. The children loved finding shards of ice in the water. Many children even found shapes in the broken ice - fantastic learning from last week! Our book this week is 'Mrs. Armitage on wheels' by Quentin Blake. In the story Mrs. Armitage keeps adding gadgets and objects to her bike to make it more comfortable for herself and her dog 'Breakspear' until she crashes and the bike breaks. The children have been speaking about their own bikes and how they would like to improve them. Here's a few. Outside, children were challenged to make a new machine for Mrs. Armitage. They had to work together to generate ideas and adapt and improve their creations. Our street dance practise is going great. This week we separated into two dance crews to try to intimidate each other with our mean moves and attitude! We are learning to recognise and describe 2D and 3D shapes by sorting, building, printing and hunting. January has started colourfully! We have been learning to describe and create patterns. Mrs. Ripley introduced 'Street Dance' to us on Thursday. There were a lot of new moves to learn... with plenty of attitude!!!!!!! We are reading 'Mr.Gumpy's Outing' as part of our reading spine to develop children's love and understanding of good early literature. We have been writing about the animals that fell in the river and outside we made a Mr.Gumpy boat. The girls took it in turns to play the part of Mr.Gumpy and were very strict at telling each other not to squabble, kick, muck about or tease one another, like in the story! This led to the boys building their own boat and constantly thinking of ways to improve it; they added a ramp for easier access. Then crocodiles and sea monsters started attacking!!!!! Then 'good pirates' took over Mr.Gumpy's boat and set sail to find treasure. All on a Thursday afternoon! Our tree decorations will be on sale for £1.50 at the Christmas craft fayre. As busy as elves, preparing for Christmas! Practising for our carol concert! It's the start of winter tomorrow so the classroom is getting ready. It's also the start of advent so we have enjoyed decorating the tree and problem solving a decoration to go on top! Collaboration and problem solving outdoors! After reading 'Rosie's Walk' this week, I gave the children the challenge of building an obstacle course for the fox so that he can go around, over and under obstacles without crashing into them. The children set to work brilliantly, but came across a problem when I couldn't manage to get under the bridge!!!!!! Someone came up with the idea of lifting the bridge by putting crates underneath. It still wasn't high enough for me! Oliver quickly got two more crates to put under so that it was higher still and this time it just worked!!!! Handwriting practise; we have to focus our attention well so that we can form the cursive letters correctly. After weeks of practise, today we held our Samba competition. All of the children danced fantastically well and some are going home with trophies and medals. Huge congratulations to everybody!!!!!! Us adults in class were so surprised by what we observed. We were impressed by the strength of relationships and the ability of children to talk through differences to keep chains intact. Children were observed having difficult conversations because one friend wanted to do something different to the other. Compromises had to be reached. It seems that at all costs, many children were determined not to break their chains. Seven friendship chains lasted all afternoon!!!!! Well done to those children; we didn't expect that. All the other chains were broken through choice where friends couldn't reach compromises. 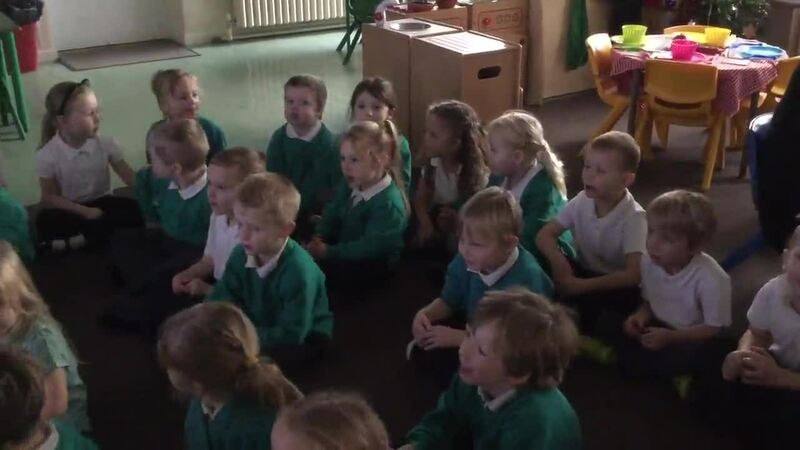 To begin anti-bullying week we have learnt what bullying means by watching a Topsy and Tim video. We have been showing what kind friends we are by making friendship bracelets for eachother. Look how we need to focus our attention to be able to thread the tiny beads! We are delighted with the results!!!!! Building a snowman is tricky with only a light dusting, but clever thinking by Oliver made it possible! Look how well we are focusing our attention! Also today, we have been learning to order numerals. We are learning to place the tens numbers under the ones so we can see patterns more clearly. We are trying really hard to form letters correctly. Look at Decland practising independently!